What made Tropical Storm Colin so unique? We’re one week into hurricane season, and the third tropical storm of the year is heading back into the Atlantic. The storm dropped more than a half-a-foot of rain across parts of Florida, and it's still dropping some heavy rain along the North Carolina coast today. But from here, it's going out to sea. This latest tropical storm is unique for a couple of reasons. For starters, it's the third named storm of the season — Colin — and it developed in June. 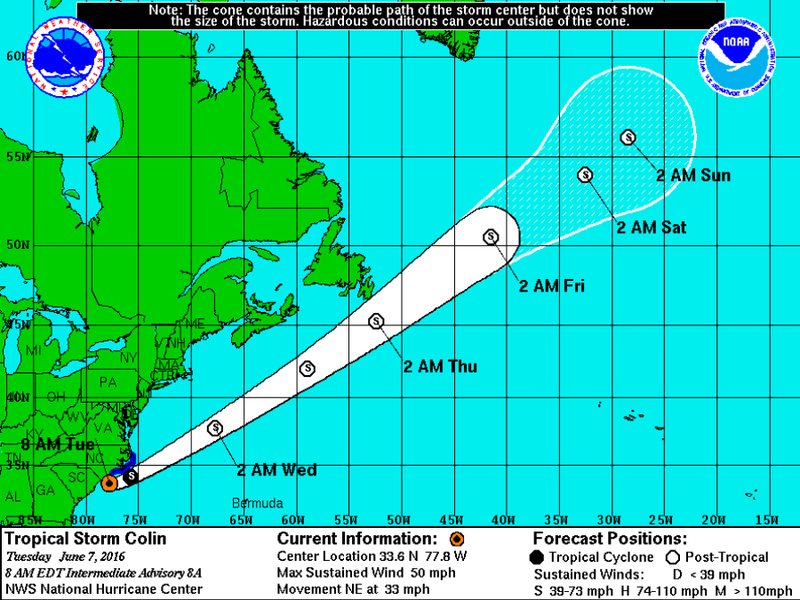 Colin is actually the earliest developed C-named storm we’ve ever had. This is also only the third time we've ever seen a C-named storm in June. The last time a C-named storm developed in the first month of hurricane season was 2012 with Hurricane Chris. That storm at least waited until the second half of the month to develop. 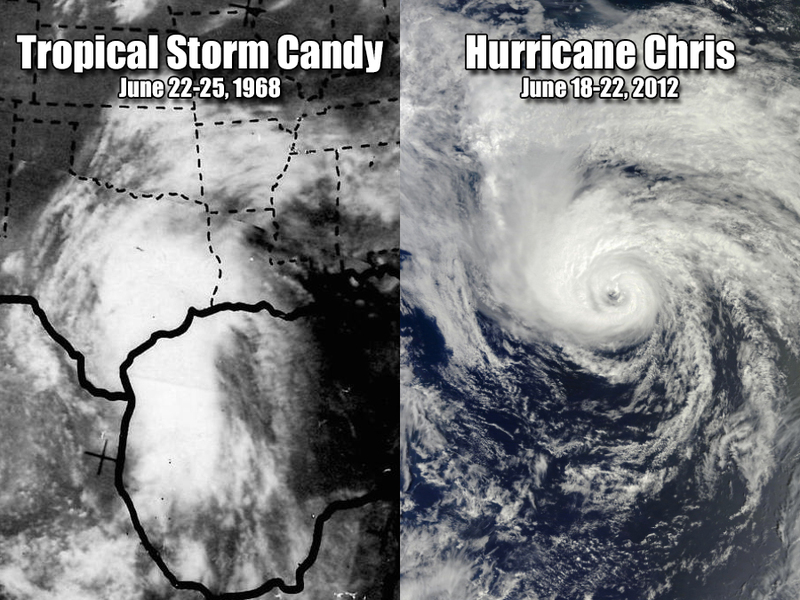 Before that, Tropical Storm Candy formed in late June of 1968. Tropical Storm Colin also happens to be the first tropical storm to make landfall in Florida since Andrea on June 6, 2013 — almost exactly three years to the day. Although it's only a week into hurricane season and the next named tropical system will be called Danielle , this entire season has been slightly unusual since the first named storm arrived in January. 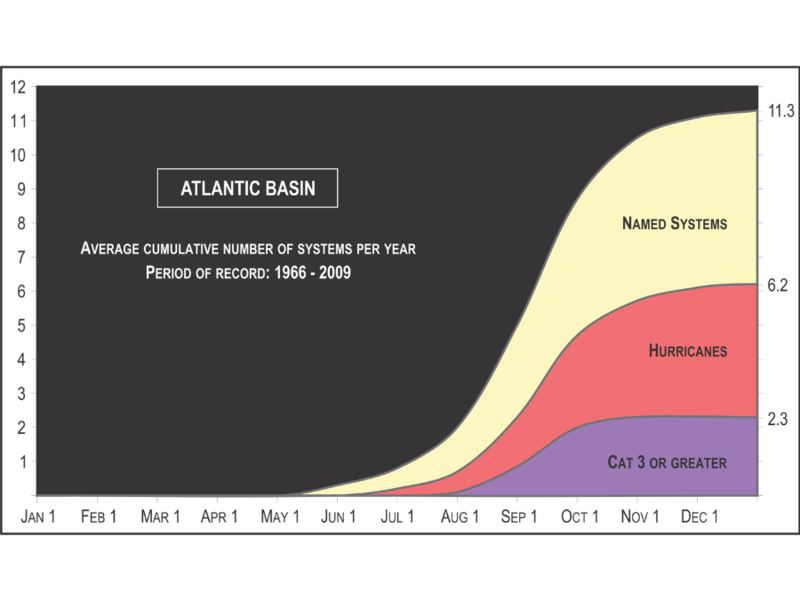 In a typical year, most hurricane activity doesn't even begin to ramp up until the second half of the season. We'll have to wait and see if all this unusual activity is setting a precedent for this year's hurricane season, but initial forecasts are calling for a slightly more active season than normal.